Things That Go Bump in the Night; Classic Weird; and Classic Weird 2. Buy Classic Weird and Classic Weird 2 and we will send you a copy of Things That Go Bump in the Night free. Ebook versions of two previously published books from PUP are now available to order via amazon, etc. A great article was published about The Fantastical Art of Jim Pitts in The Lancashire Telegraph. 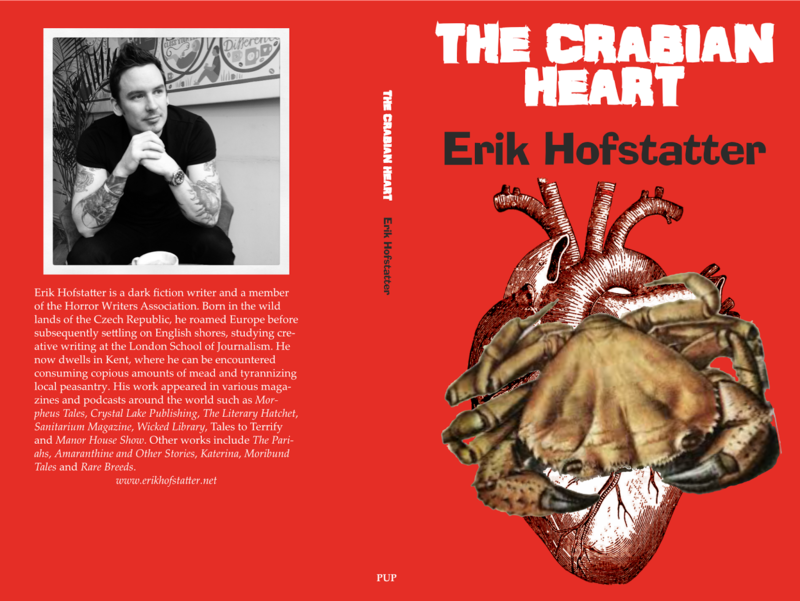 The next book out from Parallel Universe Publications will be The Crabian Heart by Erik Hofstatter. This is the proposed cover. Erik Hofstatter's The Crabian Heart will be published within the next week, but already it has received a great review online in Starburst magazine by Jon Towlson. "...the emotional tug that The Crabian Heart exerts on the reader is palpable. The Crabian Heart is also a coming-of-age tale, one that resonates with the pangs of unrequited love. And as such, it concludes, like all great coming-of-age stories, with a very difficult and painful realisation for the love-struck main character. By the end of its 100 pages you will find yourself both haunted and moved by Hofstatter’s evocative writing." 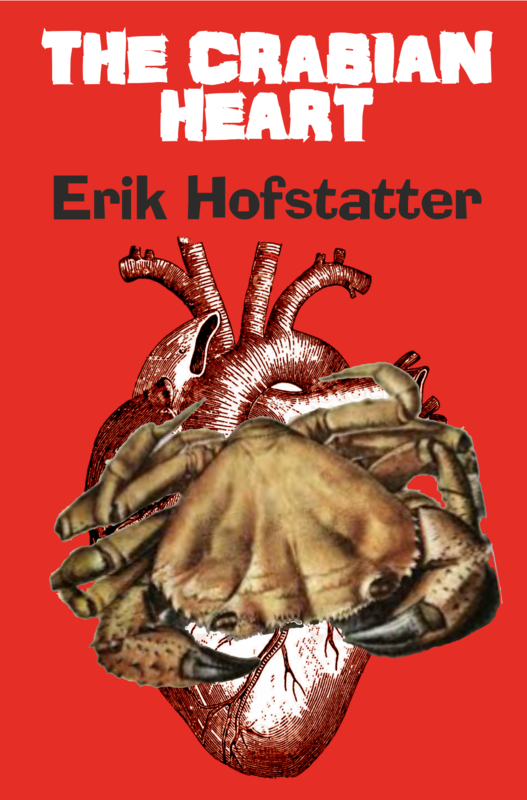 Erik Hofstatter's The Crabian Heart is now available in hardback as well as kindle. It has also gained yet another stellar review. "Far the most attractively presented book I've set eyes on this year and an absorbing and informative read into the bargain. 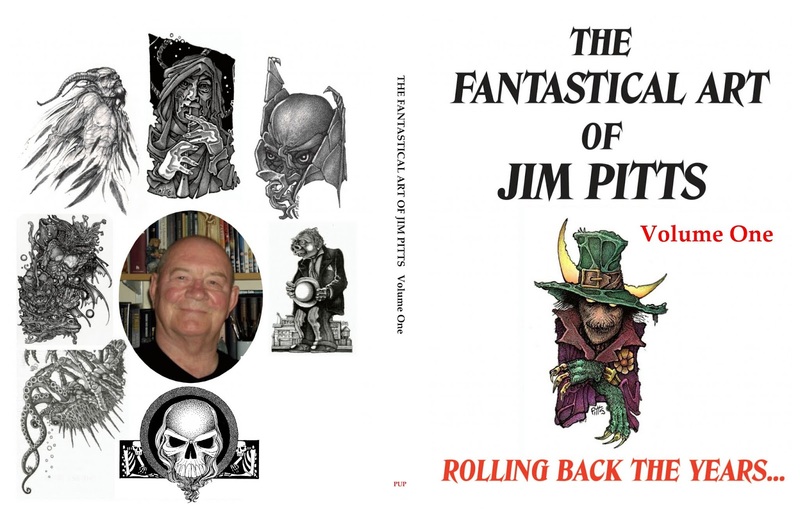 Rolling Back The Years is both a glorious celebration of Jim Pitts' talent and, for those of us with an enthusiasm for the golden age of British fantasy and horror fanzines, an invaluable companion to David A. Sutton's On The Fringes For Thirty Years . MRJ is well served with four illustrations from Ghosts: A Tribute to M. R. James and The Treasure Of Abbot Thomas illo which "was used quite randomly by Francesca in Kadath. It was recently placed on the book cover of Ghosts & Scholars #27, where Rosemary Pardoe used it more appropriately." 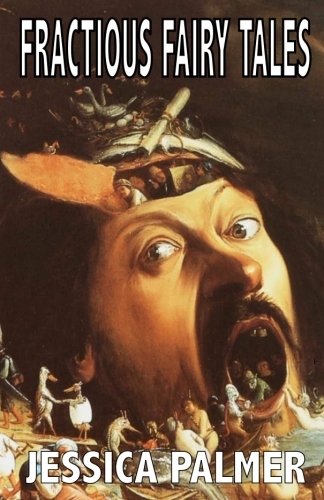 Brian James Lewis gives a first-rate review of Benjamin Blake's poetry collection, Standing on the Threshold of Madness, on the hellnotes website. 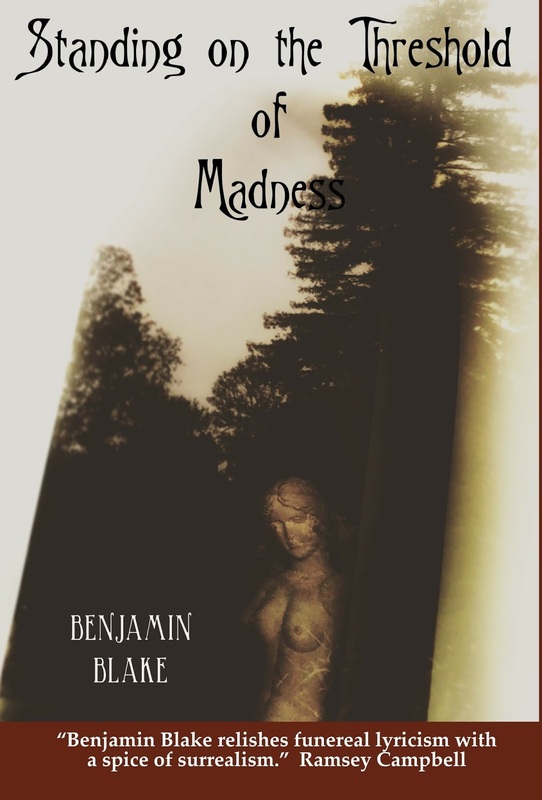 "I don’t think there’s much question as to how I feel about Standing on the Threshold of Madness by Benjamin Blake. But let me just confirm that I really enjoyed reading this awesome collection of poems. In fact, I keep it nearby so that I can dip into the pages occasionally for a fix. If you groove on speculative fiction, the weird, the dark places – you’re going to dig this collection! The flow is great and the subject matter is right." Bejamin's book is available both as a trade paperback and an ebook. The latest book from Parallel Universe Publications is Jessica Palmer's wickedly humorous collection of weird stories: Fractious Fairy Tales. This is the second collection of Jessica's that we have published, the first being Other Visions of Heaven and Hell, which we brought out in 2015. This 228-page paperback is available either direct from PUP or via amazon, etc..
Jessica Palmer was born in Chicago, Illinois. Her mother became a professional clown when she was in her teens, leaving Palmer irrevocably altered. She received her degree in nursing and worked in hospitals, starting with medical-surgical units. Eventually, she settled into psychiatric nursing where she got along famously with her patients. Her medical background presented opportunities to write. In 1976, she was asked to develop a script for educational television, entitled Journey to Nowhere, about the medical aspects of addiction. Later she became a technical writer for the safety and health department at Schlumberger Well Services with an emphasis on explosives and radiation. The job took her to England where she became a British subject. The fates decreed her combined experiences constituted a hazard to herself and others. Palmer returned to her first love, genre fiction. She wrote her first novel at the age of nine – ninety-nine typewritten pages about her then-hero Max Smart of Get Smart. Altogether, she has had 28 books published in fiction and non-fiction, including university textbooks about Native American history and culture. Palmer has received numerous awards in journalism, spanning a period from 1980 to 2014. 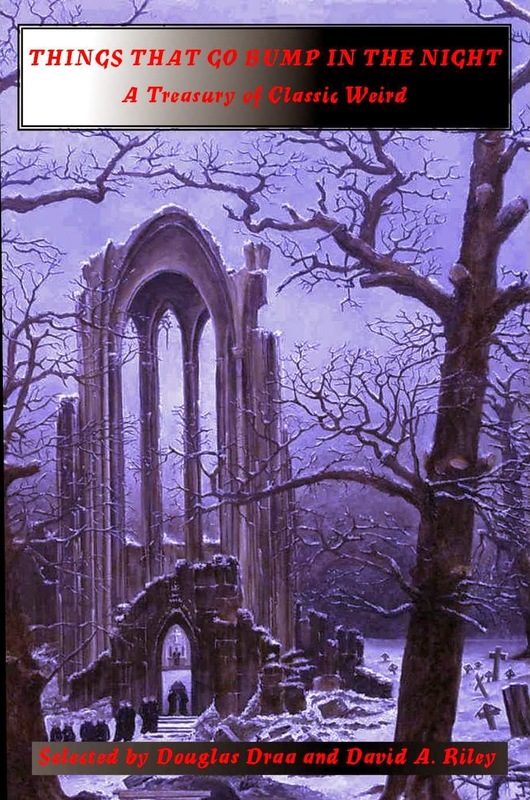 Dark Lullaby, published by Pocket Books, was nominated for HWA's Bram Stoker award in 1991. Now she concentrates on satire. 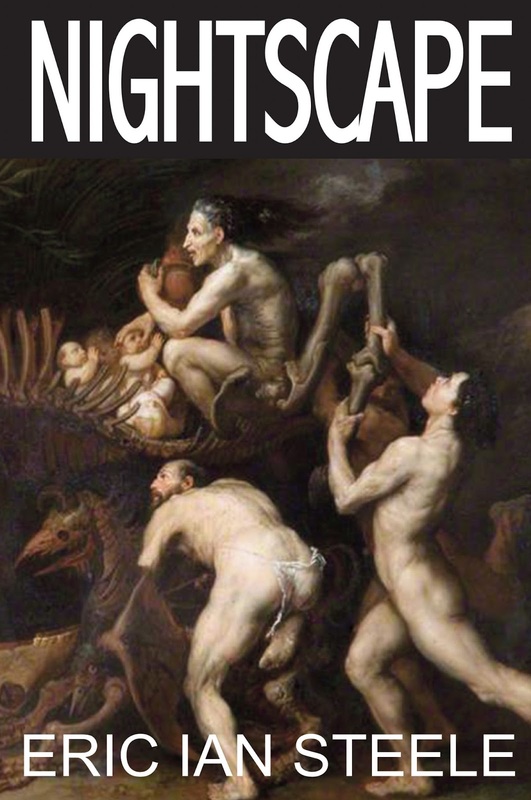 Parallel Universe Publications released her collection of short stories, Other Visions of Heaven and Hell in 2015. We have reduced the price of The Fantastical Art of Jim Pitts from £35.00 (plus postage and packing) to £30.00 (plus postage and packing). Mass signing of The Fantastical Art of Jim Pitts at Fantasycon 2017, with (from left to right) Jon Harvey, Peter Coleborn, David A. Riley, Jim Pitts, Ramsey Campbell, and Steve Jones. Following our reduction in the price of The Fantastical Art of Jim Pitts from £35.00 to £30.00 per copy, we have also revised our shipping costs and added surface mail as an option to the rest of the world for those who would be happy to wait up to 45 days for delivery. We have reduced the price of The Fantastical Art of Jim Pitts from £30.00 to £25.00 per copy plus postage. This is a numbered, limited edition of 250 copies, each of which is signed by the artist. 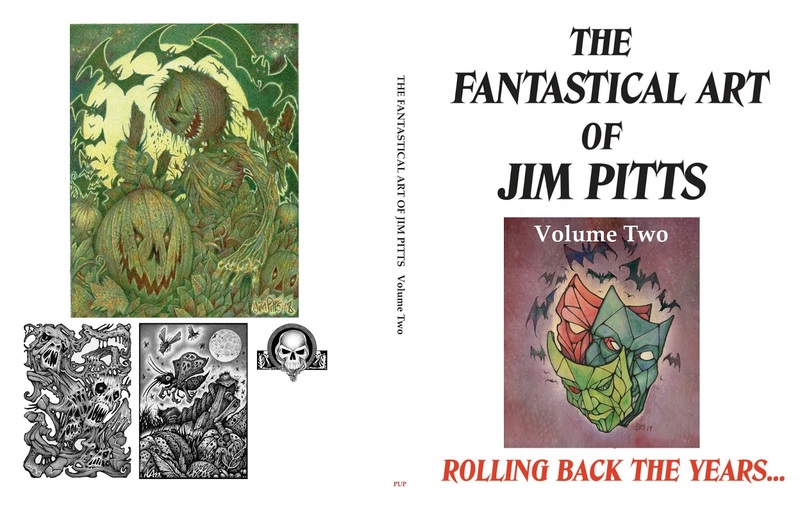 Parallel Universe Publications is making available prints of the artwork of Jim Pitts. Each print is on high quality A4 paper, signed by the artist and sealed inside a plastic envelope. To order please email paralleluniversepublications@gmx.co.uk, listing which prints you would like, plus your address. You will then be emailed a Paypal invoice. Postage and packing is the total cost whether you order 1, 2, 3 or 4 prints. However, if you order 5 prints or more postage and packing are free. 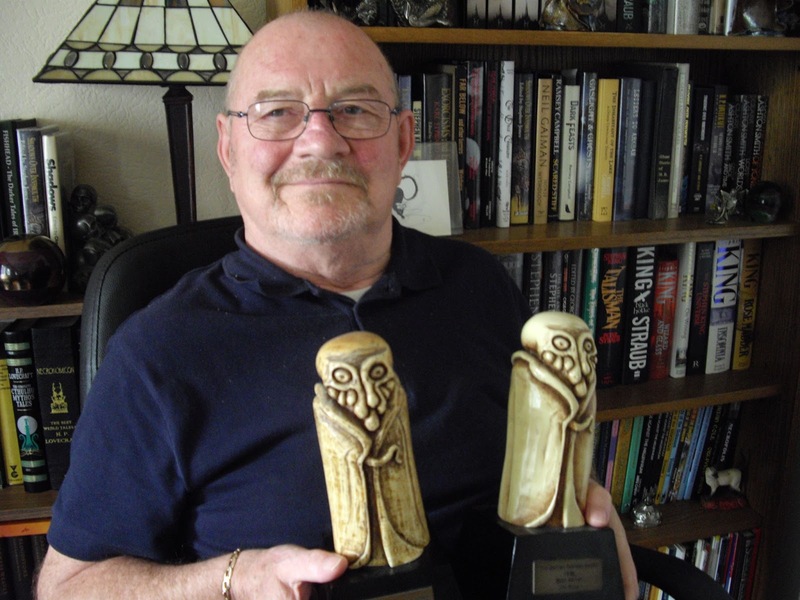 Jim Pitts is an award-winning artist (two-times winner of the prestigious British Fantasy Award, plus Science Fiction's Ken McIntyre Award), whose work has appeared in numerous magazines and books, both professional and small press. The Fantastical Art of Jim Pitts is reviewed in the next issue of Phantasmagoria Magazine by its editor Trevor Kennedy. 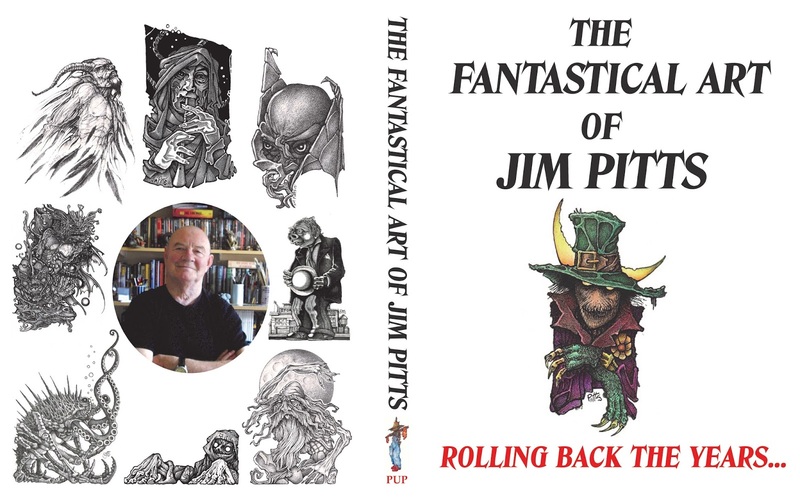 "The Fantastical Art of Jim Pitts is a bumper hardback dedicated to the life works so far of the man of the title, one of the great fantasy artists of our time. On top of that, it also serves as a history of sorts of the much esteemed British Fantasy Society (and related publications) and the early days of these guys at the forefront of the movement, highlighting their good times, and quite often difficulties, over the last almost half a century. Jim Pitts and his exquisitely detailed artworks are our guides through this fascinating and hugely important period for the UK fantasy/horror scene. And I loved every single page of it! Jim’s life, from his working class Northern English beginnings and folk band days with ‘The Jim Pitts Folk Quartet’ to the present day, is chronicled over 212 pages alongside a bonanza of his macabre works and written contributions from BFS stalwarts such as David A. Riley, David A. Sutton, Ramsey Campbell, Stephen Jones, Brian Lumley, Adrian Cole, Peter Coleborn and more, fascinating real life stories concerning what really must have been a golden era for these pioneers, especially in the 1970s and ‘80s. Reading about the difficulties they faced back then just made me realise how lucky wannabe publishers/writers like myself get it these days. My first job when I left school was with a printing firm, so I know only too well how expensive lithographic printing was, and probably still is. On the subject of Jim’s artwork itself, firstly I must state that I am no art expert, especially from a technical viewpoint. But for me, as a layman, I found his numerous pieces included on the pages to be brilliantly atmospheric, haunting and Lovecraftian. I particularly enjoyed his representations of certain M.R. James’ stories, some of his Cthulhu mythos-based creations, his cracking portrait of Vincent Price in Witchfinder General, along with a classic Universal monster or two. On a personal level, Jim’s artwork also brought with it warm feelings of nostalgia for my own childhood when I would have read some of the various publications referenced, including Fantasy Tales and the B.F.S. Bulletins, mailed to me in the 1980s by my then pen-pal cousin Dave Carson, another fantasy artist also mentioned in the book and associate of Jim and the aforementioned contributors. For me to now be just a small part of this scene is the greatest of personal honours. This is a very special book for many reasons, so if you have even a passing interest in fantasy artwork (especially that of Jim Pitts obviously) or the recent history of the UK weird fiction scene, then you really need to grab a copy for yourself as soon as humanly possible! Head Office: 130 Union Road, Oswaldtwistle, Lancashire, BB5 3DR, UK. A future issue of Phantasmagoria Magazine (number 10, late May 2019) will feature interviews with Jim Pitts, David A. Riley and David A. Sutton. 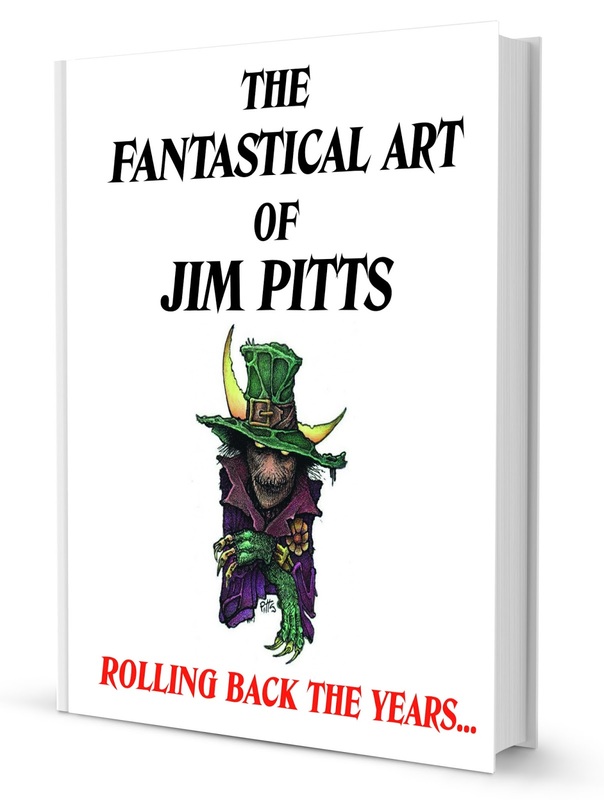 The price reduction on the signed, numbered, limited edition of The Fantastical Art of Jim Pitts has now ended and the price has reverted to its original cost of £35 per copy plus postage and packing. However, a soft cover version in two volumes will be available shortly through amazon, price £15.00 per copy.